Mud Pump, CI Mud Pumps, SS 304 Mud Pumps Supplier in India, SS 316 Mud Pump Manufacturers, Ahmedabad, Gujarat, India. 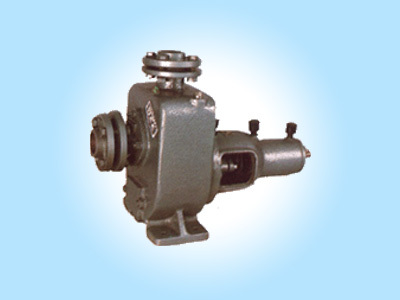 Mud Pump, CI Mud Pumps, SS 304 Mud Pumps Supplier in India, SS 316 Mud Pump Manufacturers.
" Industry : Transfer of clean or dirty neutral, acid or alkali liquids containing sand, mud or solids in suspension; clean or dirty low viscosity petroleum product or solvents; milk of lime, caustic soda; washing, cooling, circulation; smoke scrubbing; emergency duty. " Auto suction lift upto 18 feet. Back pull out design, so easy maintainance without disturbing pipe lines. Available in Bare, Coupled, Monobloc, Belt driven version. simple construction, only two moving parts. Large diameter of solids handled . up to 50 mm. Easy to install :- only the suction hose is immersed in the liquid, The pump can be set up high and dry in the most convenient position for inspection and maintenance. Public utilities :- For pumping muddy water, sewage, polluted liquids, solid and in swimming pool. Dewatering Basements, Trenches, Construction sites. Any application where priming is to be avoided. Industry : Transfer of clean or dirty neutral, acid or alkali liquids containing sand, mud or solids in suspension; clean or dirty low viscosity petroleum product or solvents; milk of lime, caustic soda; washing, cooling, circulation; smoke scrubbing; emergency duty. Naval duty :- Loading and unloading; bilge pumping; washing, fire fighting, stripping, sanitary duty and circulation. Waste treatment : Pumping polluted, hot or corrosive waster water containing sand, mud or solids in suspension; dosing neutralising liquids; pumping out settled sludge. Construction industry : Dewatering excavation, canals or ponds; ground water dewatering with wellpoint system or drains; water supply from wells or canals; hosing down concrete castings. Performance are at 2900/1450 RPM, 50/60 Hz and tested with Clear water. Due to Constant R & D activity, detail's are subject to change without prior Notice. Note : Special Pumps for Higher Capacity and Head available on request.